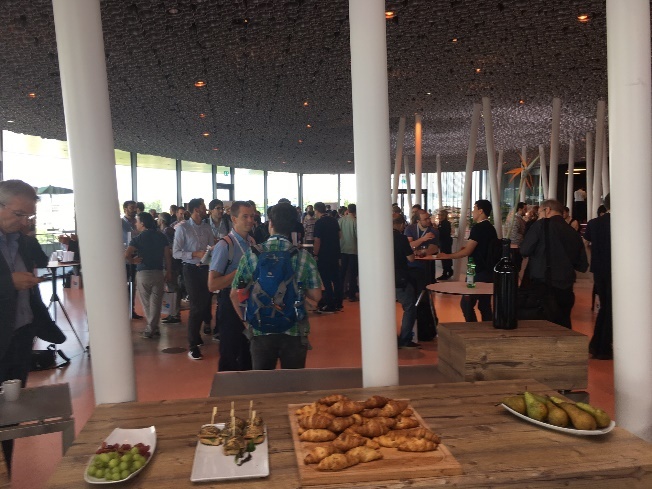 Switzerland’s largest AI society partnered with the country’s prime professional association for data science to bring both communities together – the result has been the 4th Swiss Conference on Data Science, presented by D|ONE and co-organized by SGAICO and the Swiss Association for Data-Intensive Services. With the special “AI in Industry” track, SGAICO was responsible for a quarter of the submitted program. The track started with an invited talk by DFKI’s Thomas Röfer, the 5-time “coach” of the humanoid robotic soccer world champion team from Germany. 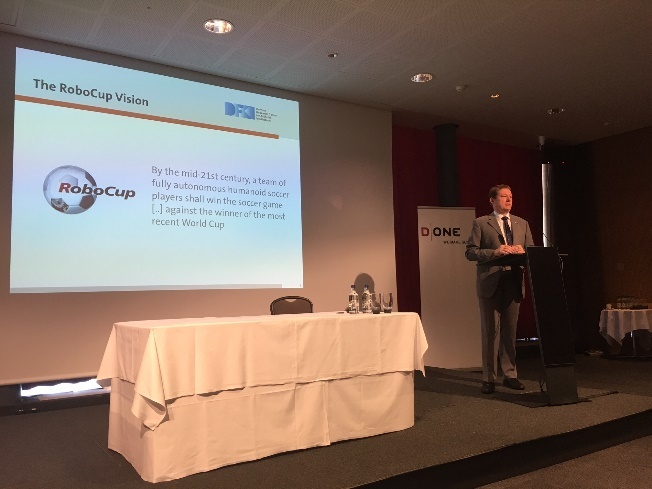 He introduced us to the self-posed challenge of the RoboCup Federation to create „a team of fully autonomous humanoid soccer players shall win the soccer game against the winner of the most recent World Cup [by the mid-21st century]“. The talk gave an insight in how such systems work with the 2016 Standard Platform League as an example. It touched on numerous applications of AI under the constraints of quite restricted hardware and yearly increasing challenges imposed by loosened rules on the environment. 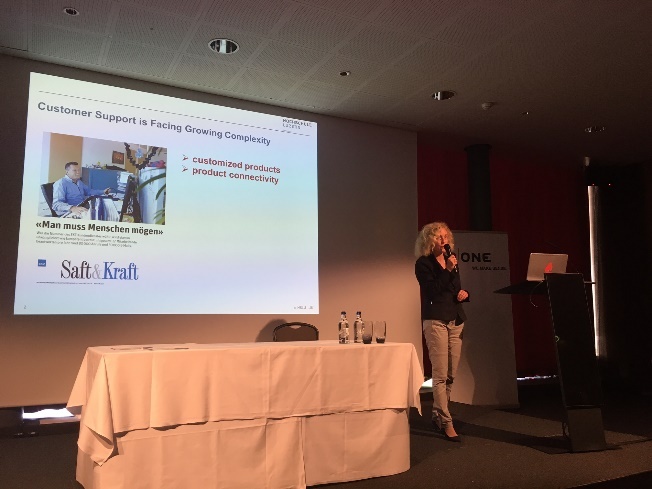 Next, Jana Koehler of HS Lucerne presented the state of the art in cognitive services: based on the use case of intelligent support for a large IT helpdesk, she showed what can be done with commercially available cognitive services like e.g. from IBM’s Watson program. Three intelligent assistants where presented, with a mixed conclusion: while the asisstants can support service desk employees, the currently available commercial services largely fail to deliver on their promises of instant semantic understanding e.g. of text. The afternoon held three talks that applied machine learning methods to various use cases from industry and medicine. While engineering challenges prevent a rapid deployment of the technology to new use cases on a short-term basis, a trend can be seen: carefully engineered deep learning solutions especially on vision tasks tend to teach the machine to “see what a human would also see or recognize”. The take home message of the conference for me however was formulated in the four keynote talks that framed the talks of the parallel tracks. Claudia Perlich of Dstillery started with a brilliant overview of how our browsing and cell phone usage behavior is used by advertisement companies. It made the efforts of infamous intelligence agencies look less dramatic in comparison. Clemens Cap of University of Rostock built upon this by asking, “do we need an ethics for data science”? Many smart thoughts he used to construct an argument for “yes”: Greed, as the driver behind every-increasing optimization, is seldom a good single counselor to humans, but is the ultimate driver behind data science (the science behind automated perfect rational decisions). Infinite optimization, as “promised” by algorithms, this creates its own problem – nobody wants to live in such a world. This has to be overcome with solutions outside from what data science itself can offer: with a new ethics our societies can agree upon. The late afternoon reinforced this topic with the talks of Gregory Grefenstette on how we might regain all the personal data that exists on us “on the web”, in order to use it for our own purposes; and with David Kriesel’s exposition of his “SpiegelMining” exploit: the results and predictions on just the metadata (!) of 3 years’ worth of crawling of www.spiegel.de. David reminded us both of the power (and possible misleadedness) of our results (and hence the caution with which we should present them) as well as what others might be able to do with the traces that we leave online daily. This theme driven by the keynotes was a frequent topic of discussion among the ca. 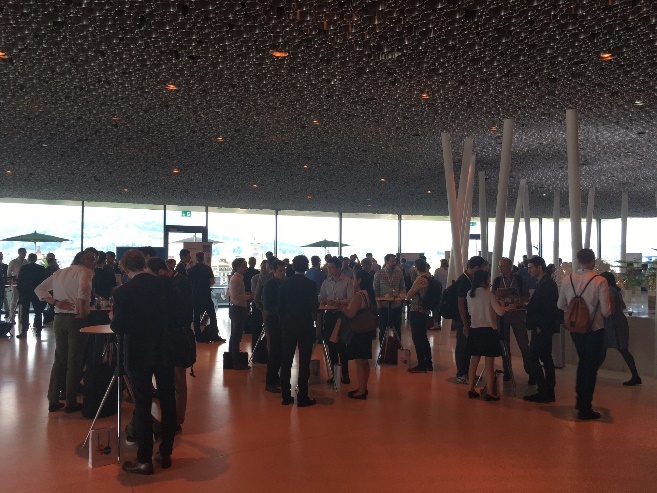 270 participants during the networking breaks. I am positive that we will see a resurge of ethical considerations on the effects our work has as AI researchers and data scientists has on the way we live. 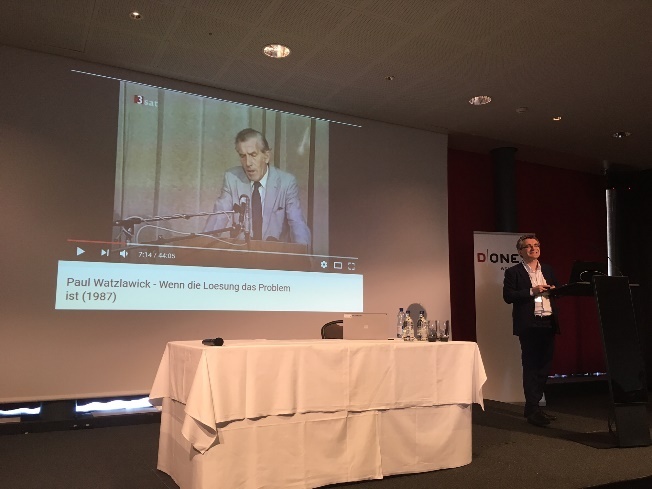 As the conference suggested, the biggest problem might neither be governmental surveillance, nor unemployment caused by automation; but traces of data we as individual leave consensually on the web, forcing our ever-optimizing economy to use it in ways that will affect our choices – less freedom in the name of rational improvement. We have yet to find an answer for this. Slides and videos of most talks will soon be available on the conference website, http://sds2017.ch.